The Frio Rio in Real County IS the best. I have been floating in Texas rivers long enough to remember using REAL inner tubes. As a wild, young adult I spent many a summer day (and night) tubing down the Guadalupe and Comal Rivers. Those memories are wonderful. Oh, the smells of summer! Sunscreen, sweat, beer, and BBQ. Those were the rivers of my youth. Then 20 years ago I was introduced to the Frio just outside of Leakey. Ever since it has been THE river for me. It is spring-fed and cold! Cold enough to turn your lips blue in the summer. Along the Frio, just past Flat Rock Road bridge, on the west bank, if you listen carefully, you can hear the trickle of the spring as it feeds the river. 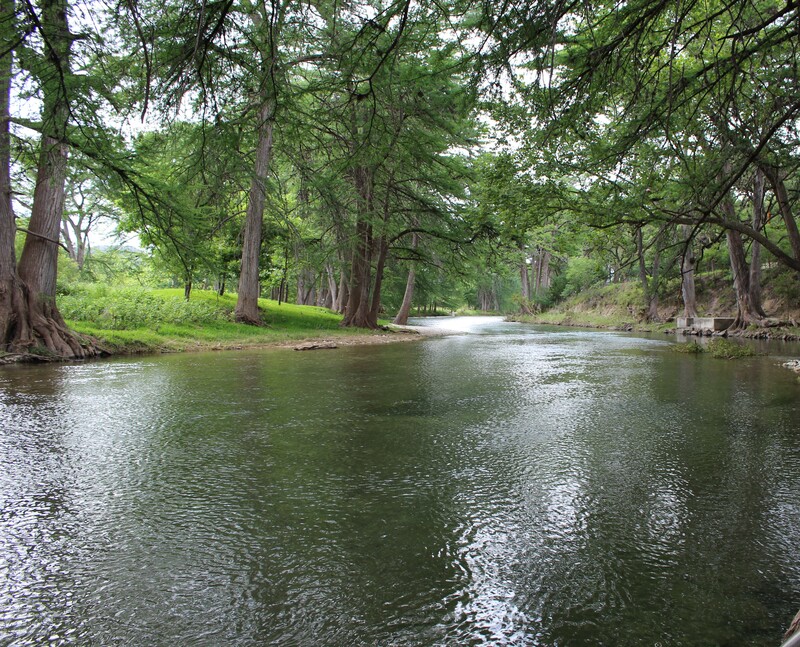 The Frio is a quiet river – the permanent residents demand it. The screaming, hootin’ and hollerin’ of inebriated tubers heard on other rivers is rarely heard on the Frio. Trees – tall, majestic trees line the majority of the river forming a enveloping canopy over the river. Lean back in your tube and take a look at the sun peeking through. Go off the grid! There is little to no cell service where we stay outside of Leakey. It is a bit scary at first to see “no service” on your cell phone. Relax and enjoy the sights and sounds of the moment. You will be glad you did. If you must get back on the grid, head up to the Leakey Library where they have free Wi-Fi 24 hours a day. Chow down on some crazy, good Mexican food at Mama Chole’s. I leave with a satisfied appetite every time. The Frio Rio is calling…answer it. Dawn Fisher on Summertime Means Cherry Time! Linda on Summertime Means Cherry Time! Nancy Herndon on These Two!